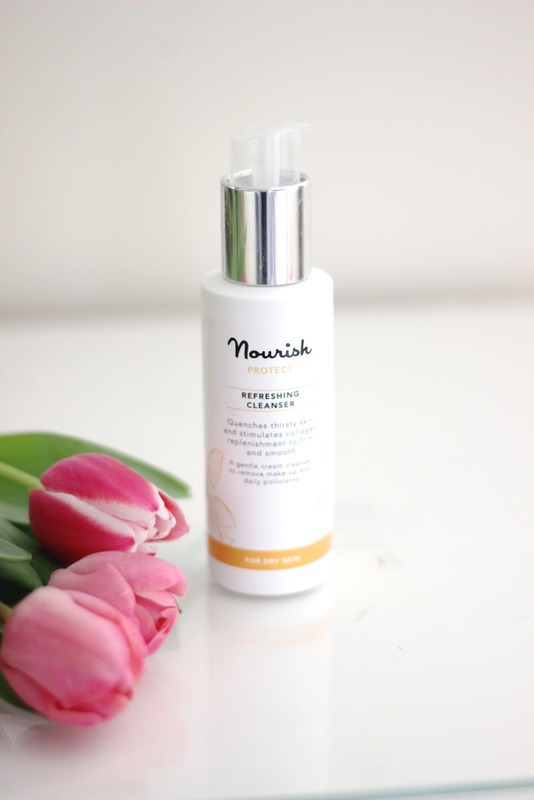 Testing Out Nourish Skincare. | By Millie. One of my goals this year is to try more skincare and vary the brands I reach for. 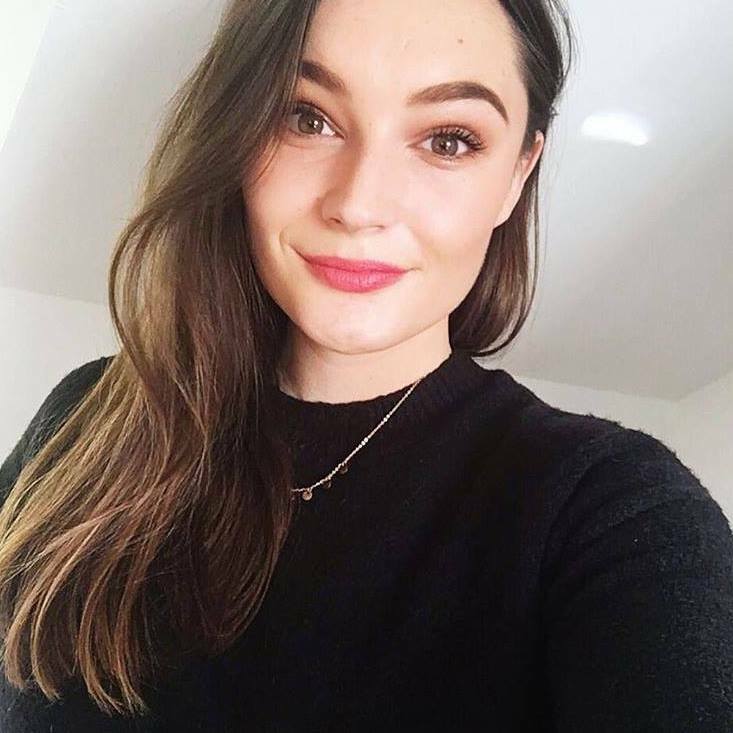 There are absolutely loads of amazing products out there and I wanted to expand my gaze so I can share with you what's worth checking out. 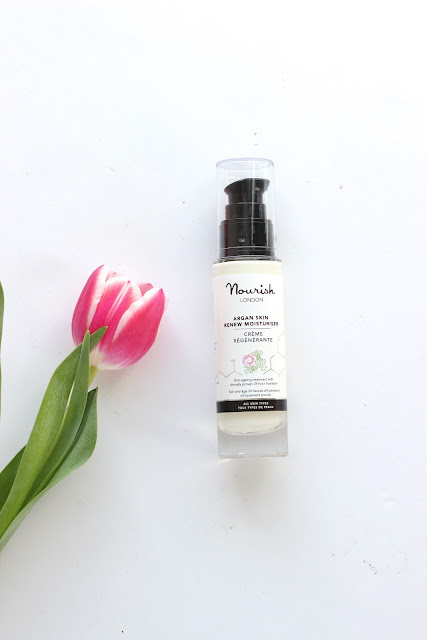 Nourish is a brand I have seen on Instagram and blogs, and I got sucked in by the lovely, chic packaging and wanted to test some things out for myself. A good hand cream is something I was certainly on the hunt for over the winter months, my hands do not approve of the cold weather! They were super chapped and dry and I never found a cream that, A: I liked the smell of, or B: didn't leave my hands greasy, but this one ticks both boxes. I know adding kale to the name may just seem like a trend-led gimmick, but actually it's great for sensitive skin, and paired with the Argan Oil, is very moisturising and gentle. It also contains ginger-root extract which is lovely and calming. The scent isn't overwhelming what so ever, it's very neutral and the thick cream sinks in quickly so you can get on with your day ASAP. I've had a look at this online and they have changed the contents of this starter collection. Instead of the oil you get a toning mist and a cleanser - which I definitely would have preferred - you can buy all the items separately anyway, but just a heads up on that. Aside from that little change, the products are the perfect size for trialling out and it would make a great travel set or gift. Here I have the Argan Skin Renew, Firming Facial Oil and the Rejuvenating Peptide Serum. I have the full size of the Skin Renew so keep reading if you want to hear about that! The oil is very nourishing and leaves my skin very plump. Being a firming oil, it is perfect for those who have fine lines - not me just yet, but it's all about prevention kids - as the Marine Kalpariane and Frankincense stimulate collagen which counters the signs of ageing. This is a great oil for those who are looking for a product which will leave your skin very youthful and glowing by morning. Moving onto the serum and I love love love this in the mornings. It really helps my skin look brighter and more radiant as well as hydrated. The full size of this is £22, and I'm definitely considering picking it up and saving this mini for travelling. The key ingredient in this is Alpine Foxberry which is traditionally known for brightening the skin, enhancing natural radiance and giving the skin an even tone. This has been really great for my dry and dehydrated skin. Night creams are something I love to apply liberally in the hopes to get my skin back to some sort of normality the next morning. The packaging of this feels so luxurious for starters, the bottle is a very thick glass and it feels way more expensive than it is. I also love the pump, it makes it a lot more hygienic to apply and keeps the ingredients fresher for longer. The only thing that I'm not quite so keen on is the smell. Even though it's a natural product there is something about this which smells like straight up Taquilla...those of you who are under 18 I'm sure you won't know what that smells like...hopefully! It's an odd one, but if you can get over the smell I think you'll love the hydrating, plumping effect this gives. I think I've found the most refreshing, awakening cleanser on planet earth...This stuff is packed full of Vitamin C from lemons and oranges to gently tone, refresh and plump the skin. This has that very strange Vitamin C scent where it almost smells like it's gone off or something, but actually, that's a sign of a good Vitamin C product, so don't be put off! It needs a good shake before hand as the consistency is quite liquidy. In the mornings I simply wash my face with this, massage it in and rinse with warm water and I'm ready to face the day. If you have very dry skin, I would suggest streering clear of this one as it's not very hydrating, but for normal-dry, oily and combination skin I think it would be nice. Overall I'm very happy with the products I've got here, the stand outs have to be the hand cream, cleanser and serum which work great on my skin. I haven't heard too many people reviewing this brand so I wanted to give you my thoughts incase you were interested in picking something up for yourself. 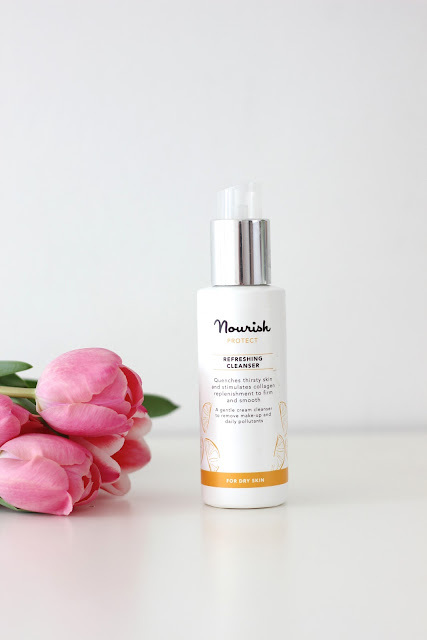 If you have tried other things from Nourish then please leave your recommendations below, I'd love to know what you've tried and loved, or, what you didn't like so much.